Did you know that you can make your own “Better Than Bisquick” homemade baking mix to have on hand, so you can quickly make dumplings to throw in a soup or stew, biscuits for “Ala King”, homemade pot pies, strawberry shortcake, or anything you might normally use Bisquick for? The boxes from the store still had trans-fats last I looked! Stir dry ingredients together. 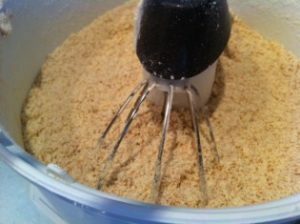 Add shortening and mix with a whisk or mixer until thoroughly incorporated. It should be fine with only a few small lumps. Keep in a sealed container (I keep mine in the freezer). Use it just like you would Bisquick.If you're making biscuits, just add 2 c. milk and shape. More specifics at this biscuit recipe post. What is your favorite recipe to use homemade baking mix in? I used to have a lot of them, but since we quit using the box of Bisquick, I threw all those recipes out. If you know of any, please share. I don’t use bisquick-y type things, but I just had to share this with you guys. I recently received an email from a friend (one of those chain-type emails) about not keeping a boxed cake mix or bisquick (and the like) past it’s expiration date (and there was even a link to some snopes information, of which I give no credibility – sorry) but the reason behind not keeping the outdated boxes of cake mix were that the yeast contained in the mixes can grow spores and sicken people. Well, er, uhm – do you suppose the yeast can read dates so it knows when to start growing these spores?!! Heavens to murgatroyd! The yeast contained in the mixes can grow spores just as easily coming straight from the “factory” as it can while sitting on a store shelf or sitting on a shelf at home. This is where fear-mongering has its genesis. If people would just take two seconds to stop and think about it, they would be asking the same questions which I’m asking. Safest thing? Make homemade cakes, brownies, scones, muffins – whatever. Leave the boxes on the store shelves, right? Just shows how wrong emails that fly around can be and how uneducated emailer and bloggers are on subject matters being amassed to others… because there is NO ‘yeast’ in cake mixes or bisquik-type mix. Baking powder and baking soda are not yeast derivatives. The reason expiration dates are given on those products is because the potency of the baking powder activity may be compromised and the rise of baked goods less – the older the baking powder the more likely outcome may be disapointing. I also pinned it on my board in pinerest. I’ve shared a link on Facebook of this recipe as I’ve promised NOT to use Bisquick in any of the recipes on my site 😉 This one could definitely come in handy as a substitute. What is the food item featured in the photo at the top of this post Kelly? The one with butter melting on it? Looks too good!!! I actually made up a version of homemade bisquick (very similar to yours, using the palm oil but can’t remember exact proportions on everything) to use in sausage balls. The recipe I have from my grandmother uses Bisquick (plus cheese and sausage), and it worked great! Thank you so much for this recipe. My husband’s favorite dessert is his Grandmother’s egg custard which calls for bisquick, and I was trying to figure out an alternative. I am slowly moving us to a more traditional diet, but it is difficult at times to give up all the comfort foods. I can’t wait to try making cheddar biscuits like Red Lobster for my little guy. Could you share that recipe with us? Youza, that sounds great, I’m making those!! Combine egg and milk and add to Bisquick. Stir. Add cooked onion, half of shredded cheese and parsley. Spread into greased 8in. cake pan. Sprinkle top with remaining cheese and drizzle with melted butter. Bake at 400F for 20 minutes or until toothpick comes out clean. Even though my kids are teens (and beyond) I still have my LLL cookbook, and use it to this day! It has several DIY recipes in it that I refer still refer to. Here is the recipe for their mix: 8 cups flour (whole wheat, whole wheat pastry), 5 T. baking powder, 1 T. salt, 1 – 2 cups dry milk powder, 1 – 1/2 cups oil, butter or fat. I always used 1/2 unbleached white flour though in my mixes, otherwise the kids wouldn’t eat it. What is LLL? Two comments mentioned it and I am curious. LLL=La Leche League. It is a breastfeeding organization. La Leche League, an international organization offering education and support to women who choose to breastfeed their baby. They have the most authoritative information available and their meetings are free, as well as the telephone counseling. Of course, you CAN join, if you like and can afford it. I used to be a LLL leader. It was wonderful. 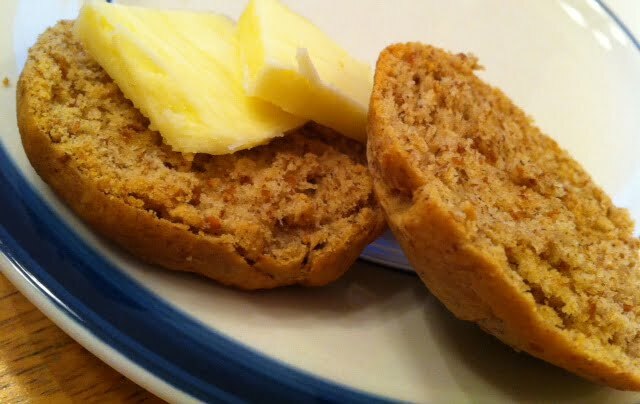 I use a similar recipe I adapted from Heloise, though I do need to incorporate more whole wheat or sprouted flour in it. I use my home rendered pastured lard. I love having this around premixed to throw together a quick breakfast of waffles, some southern style biscuits with dinner or in a crustless quiche. Kelly, how do you feel about using that much white flour? 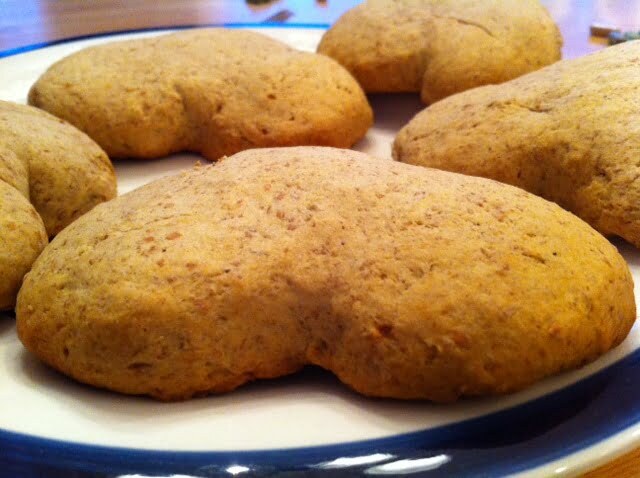 I have to fix the recipe to say half sprouted SPELT flour, but as far as using half unbleached white, Sally Fallon calls for white flour in her biscuits, too. Otherwise they’re too dense for me. If you don’t mind a heavier biscuit you could use all whole grain flour though. Thank you Kelly. I was going to make something that required the box mix, but looking at the box and price, I decided to not get it. I knew LLL had a recipe, but I didn’t have the book anymore. This is even better. Thanks.